OCEANFRONT! NO STAIRS AC 2+2, "Calypso" King Beds, Beautiful Pool, Walk to Kahalu'u Beach Park. Notify owner to adjust online Quote. For FREE NIGHT Notify owner to adjust Quote prior to making a "Booking Request". Please Read all "Notes" in this listing. 'Calypso' is right ON THE OCEAN. There are no stairs to climb. Only palm trees, grass and lava are between you and the Pacific Ocean. 2 Bedroom (King Sized Beds), 2 Bath (brand new showers, kitchen, sliding doors) in Desirable Building 1, is at the gated Keauhou-Kona Surf & Racquet Club. HOW CLOSE WE ARE TO THE OCEAN ! Library Stocked with: Island Guidebooks, Reef Guides for Divers & Snorkelers, Children's Books, Hawaiian Lore etc. Walk to nearby Kahalu'u Beach Park (Hawaii's Best Snorkeling Beach), follow map to Ancient Petroglyphs, or walk to Surfboard Rental Shop. Mornings: Spot Dolphins, Whales, Outrigger Canoes from your Oceanfront Lanai. 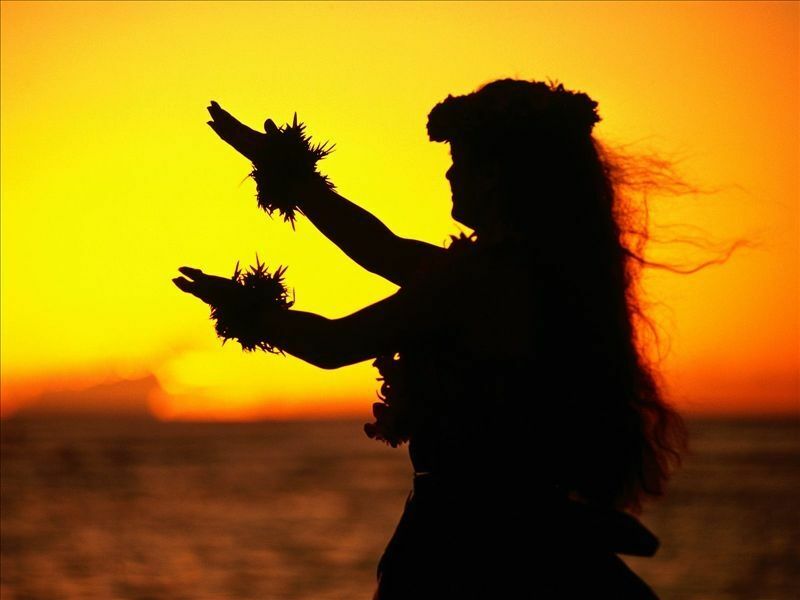 Hawaiian Evenings: Enjoy the Kona Sunset from your Lanai. Explore Tide Pools, Stroll to Keauhou Bay, Walk to Hawaii's Tiniest Church, Catch the Beach/Shopping Trolley. HOUSEKEEPING: Initial cleaning is done prior to your arrival, cleaning fee $155 is charged upfront. The master bedroom is furnished with a king-size bed, and the second bedroom also has a king-size bed. Please enjoy 'Calypso' as you would your own place. There is NO SMOKING ALLOWED in or around this unit, but OK near Building 8 in the resort. Check in is 4 PM; check out is 11 AM. This allows cleaners time to clean. RESERVATIONS: We require an advance deposit of $300 within 7 days and notification of the exact dates of your arrival and departure, how many people in your party, and need your address and mobile phone number. This will confirm your reservation. Once confirmation is made, your balance is due 60 days prior to your scheduled arrival. The $300 deposit also serves as a damage deposit and will be returned within 14 days of departure. Ironman Event Terms: 7 night minimum (2nd week Oct) No discounts. CANCELLATION: Your deposit is refundable if cancellation notice is given 60 days prior to scheduled arrival. No refunds of prepaid rent will be given if cancellation is less than 30 days of scheduled arrival date. *COMPLIMENTARY INTERNET and CABLE TV are provided, and we make every effort to keep them running smoothly, however NO REFUNDS will be given for connectivity problems. $20 per night. May be locked off by request. COMPLIMENTARY INTERNET and CABLE TV are provided, and we make every effort to keep them running smoothly, however NO REFUNDS will be given for connectivity problems. These ladies have truly thought of everything! I'm not sure what else to add that other people haven't already mentioned! I couldn't tell you if the TVs worked because we never turned them on - we were either experiencing the wonderful sites around Kona or hanging out on the lanai. This condo was perfect for my sister and nephew and I to stay for 5 days - the hosts have truly thought of everything. Having 4 lounge chairs on the lanai was a plus - so many rentals only include 2. There were plenty of water accessories in the closet for us - noodles, boogie boards and a great umbrella that we brought to the beach. The thing that stands out the most for me was the professional cookware. The majority of vacation rentals I have been to have had crummy, cheap pots and pans. Calypso had professional grade cookware that looked brand new and cleaned up beautifully - excellent choice for a vacation rental. They also had plenty of plates, cups and flatware - even though there were only 3 of us, we could go a few days without running the dishwasher or cleaning plates because they had so many in the cupboard - definitely a plus! We only used the A/C a few times at night. The complex is also very nice in a gated community - much nicer than a lot of the other local complexes and we all felt very safe there. Overall we were very pleased! There is only 1 set of towels per person, which can be a bit dicey for us ladies who like to wrap a towel in our hair :), but having a fully functional washer and dryer in the unit made it work. We will be sure to check out Calypso on our return to the Big Island! We very much enjoyed our stay here. The condo and grounds are very nice. We had everything we needed to enjoy the Big Island and more. We would most definitely check availability for a return stay. I don't usually leave reviews, but this place was one of the best places I've stayed at as far as being close to a grocery store, a few eating establishments withing walking distance, and only a $10 Uber or Lyft ride to the main attractions. This part of The Big Island is relaxing and just what we needed! We will be back soon! The property is beautiful and well located--close enough to walk to the grocery store and restaurants but far enough away that it feels very private. The suite is right on the ocean where you can watch the whales swim by during the day and the sunsets at night. Denise was very responsive to our needs. We only wish we had stayed longer! Clean, comfortable and right on the ocean. Excellent snorkeling within walking distance. We saw dolphins from our lanai on several mornings. Shopping and golf nearby. Tennis courts and pool on property. We would definitely come here again! The condo beyond our expectations. The view for the sunset each night was amazing from our lanai. A very nice, gated complex with a nice pool. A great location, not far from the heart of Kona, but close to groceries and good restaurants. We had a great time on the island and at our "home" for the week. The condo was well stocked with extras that made our trip easy - like an umbrella and chairs for the beach, a cooler, snorkel gear, beach towels, etc. LAST MINUTE SPECIAL: None rightt now. Check back later. FREE NIGHT. Book 6 Nights get 7th Night FREE. Except High Season (Dec-Mar) Notify owner to adjust online Quote. Low Season: April thru Nov $195/nt High Season: Dec thru March $255/nt ADD $20/nt for AC Iron Man Terms (2nd week in Oct): 7 night minimum. Damage Deposit is 25% of total rent amount during Iron Man Event. CURRENT SPECIALS: None right now. Please check again later.